After you take in the Art and Earth exhibit at The Arts Centre, there’s another opportunity to see some great art by local artists and take in a show at the Apollo Civic Theatre. Art at the Apollo features paintings by two local artists in the lobby of the theatre for the run of Death by Chocolate, opening tonight and running for the next two weekends. Leia has been a professional artist for the past 5 years, thanks to the encouragement of her husband, Sam. Her daughter, Abigail, and many of her family are the inspiration for much of her artwork. Currently, Leia works in many mediums including watercolor, acrylic, oil and pottery from her home. Her past as an art store owner and art teacher has given her a broad knowledge of many styles, artists, artworks and materials. She uses this knowledge as she continues to experiment with a variety of mediums herself. She plans to continue in her many mediums and styles, learning as she goes, for as long as her creativity will let her. Tom has loved art for as long as he can remember. While in 10th grade he had a piece selected for an international art exhibit and was a student art teacher in high school. Throughout his career, he was fortunate to have positions in visual communications, serving in such positions as Graphic Designer, National Printing Officer, and Art Director. He served as chairman of a cabinet level federal “Departmental Publishing Council” and was successful in installing national publication design standards for a major federal agency. Tom is now retired and lives just outside Shepherdstown, WV with his wife and two dogs. He enjoys most outdoor activities, classic cars, photography and of course…painting. Art at the Apollo is presented by the Berkeley Arts Council in association with The Apollo Civic Theatre. 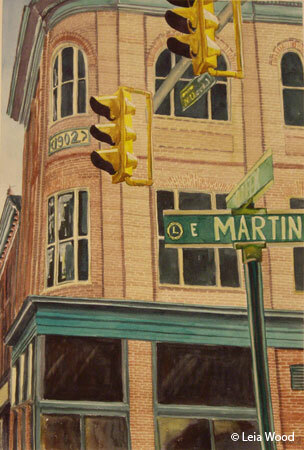 The Second Art and Earth Juried Exhibit opens with a reception from 5-7pm at The Arts Centre, 300 West King Street in Martinsburg. More than 50 pieces are on display by artists from all over West Virginia and eight other states. The artwork includes paintings, photographs, mixed media and 3-D metal work. 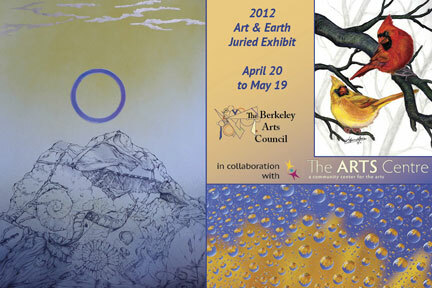 Details are on the Berkeley Arts Council web site here. The The exhibit was produce by the Berkeley Arts Council in collaboration with The Arts Centre in Martinsburg, WV.